The Unlocking: Before you purchase a transfer, make sure the current registrar has unlocked the domain name so that you can begin the transfer. The Payment: If you do not own the domain name you are buying or requesting transfer of, you might as well wait until you get word that the unlocking has occurred so that your transfer can function. Once you know the transfer can go forward, make your purchase. 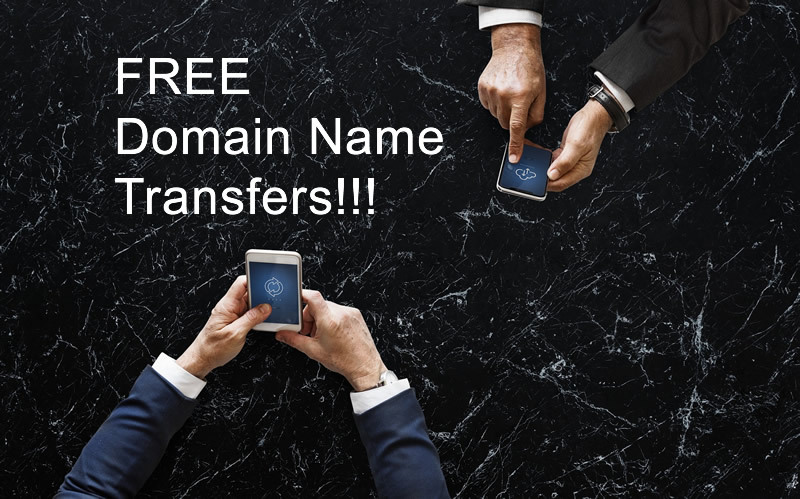 On BestDomainPlace.com, domain name transfers are free! You’re merely paying for another year use of the domain name. The Request – When you initiate a transfer, there is an electronic message that goes to the registrar where your domain name is currently hosted. That’s when the owner of the domain at that other location will be alerted (depending on what the registrar company is) and the person will need to login to the account and verify that the request may proceed. The Approval – The transfer is in-process at this time, but you will see a message in your new account that there is a transfer request pending. You will need to approve that, yes, you want to accept the domain in transfer. The Release – The old registrar (or owner) is notified that the transfer request has been approved. The last thing the registrar needs to do is formally “release” the domain name. This is sometimes automated, depending on what company is managing the domain name. If everything transferred over correctly, you will then need to look at your domain name settings. DNS (Domain Name Server) settings probably did not change. So, if you move a domain name that’s connected to a website, the transfer process will not impact those settings at all. But, you want to be sure to test anyway. As mentioned, BestDomainPlace.com does not charge for the transfer. You are charged for one additional year of domain name usage. Or, you could look at it as an $8.95 charge for the transfer and you get an additional year usage FREE! However you want to look at it is fine. Next step is to be sure the domain you want to transfer to your BestDomainPlace.com account is set to “unlock”, then if you don’t have a BestDomainPlace.com account yet, start your free account and begin the transfer process. Call free support at (480) 624-2500 with your Client ID Number and password handy and they can just initiate the transfer process for you.